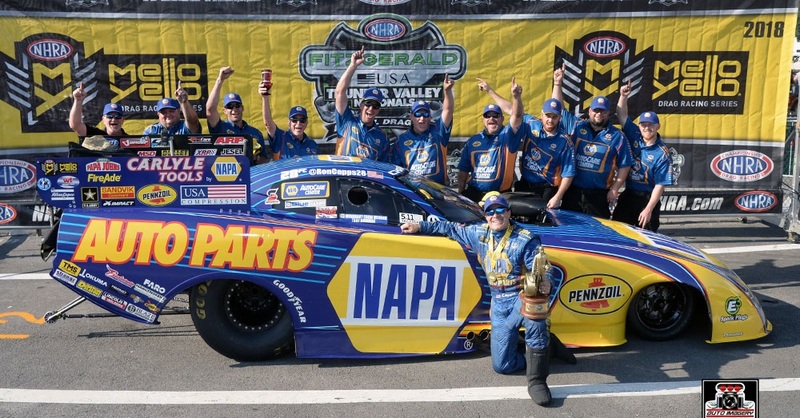 It was another Father’s Day victory for Ron Capps, as the NAPA AUTO PARTS Dodge Charger R/T driver picked up his second consecutive NHRA Thunder Valley Nationals Funny Car Wally and first trophy of the 2018 season. 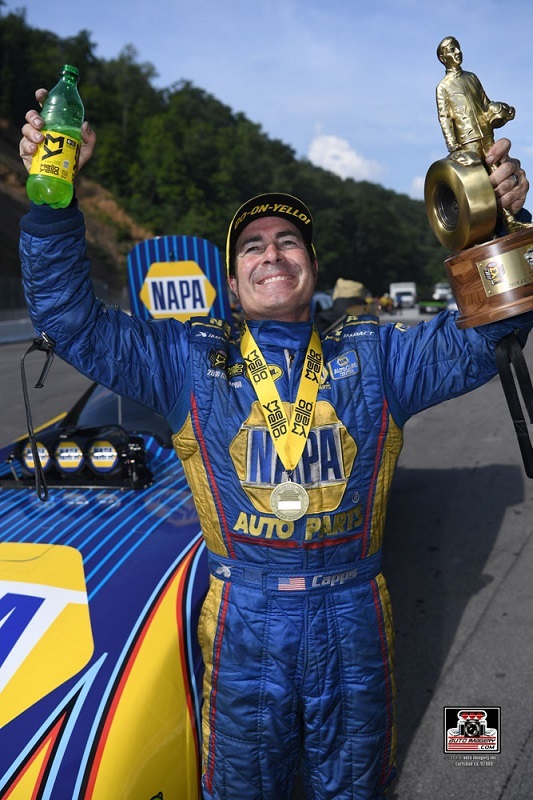 The 2016 world champion defeated John Force, reigning world champ Robert Hight, J.R. Todd and Bob Tasca III on his way to becoming the most decorated Funny Car driver in Bristol Dragway history, with five victories at the picturesque facility. Both Capps and Force entered the race weekend tied for the most Funny Car wins at Bristol Dragway, with four trophies each. 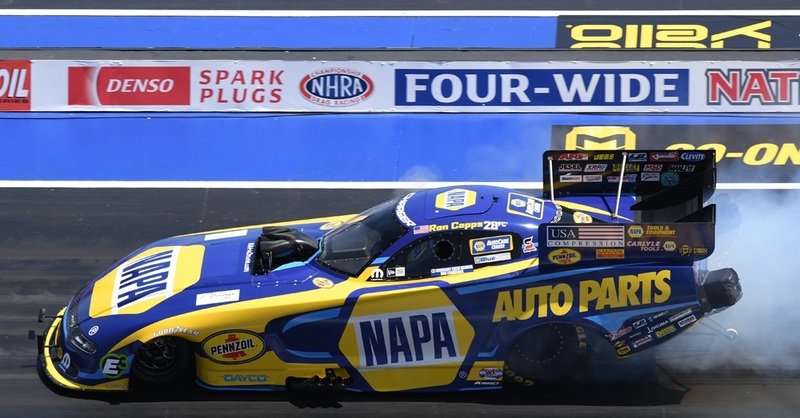 Capps was quick on the throttle against the veteran driver, launching his NAPA AUTO PARTS Dodge off of the starting line in 0.049-seconds and never trailing for the win. In the quarterfinals against Hight, Capps was machine-like, gaining the holeshot start over his opponent. 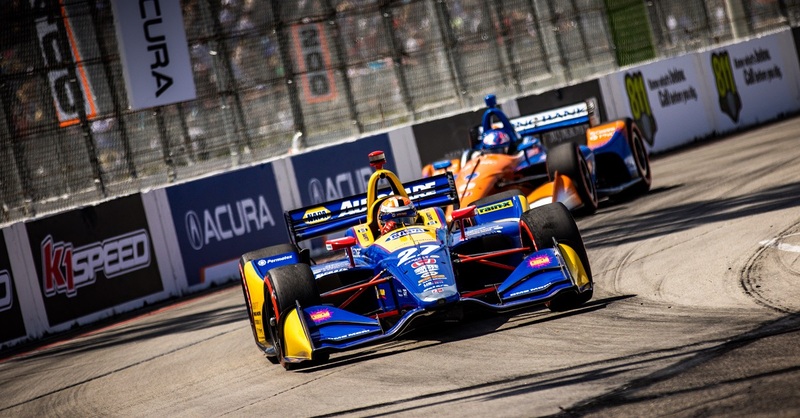 Hight was able to catch up early in the run, and the veteran drivers battled neck-and-neck until Capps was able to surge ahead and take the win with his 4.208-second run. 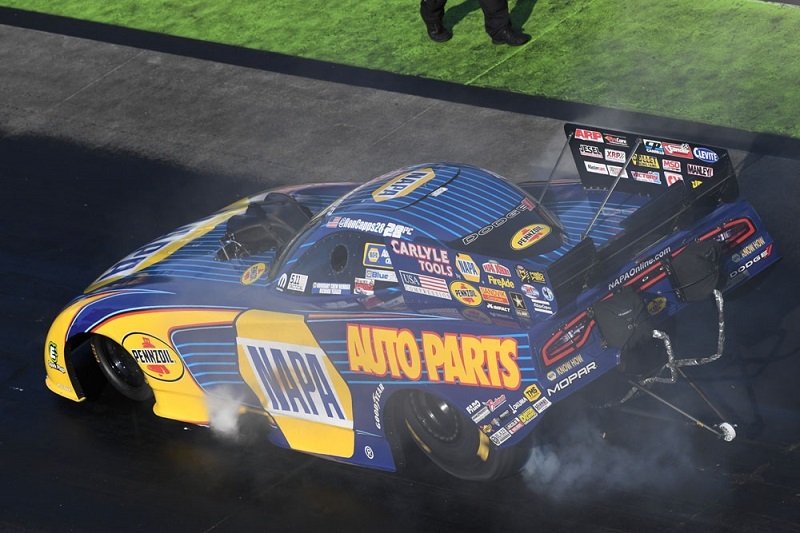 Capps made a clean pass against J.R. Todd in the semifinals, driving right down the groove to take the win and advance to his second final round of the season and second in three races. 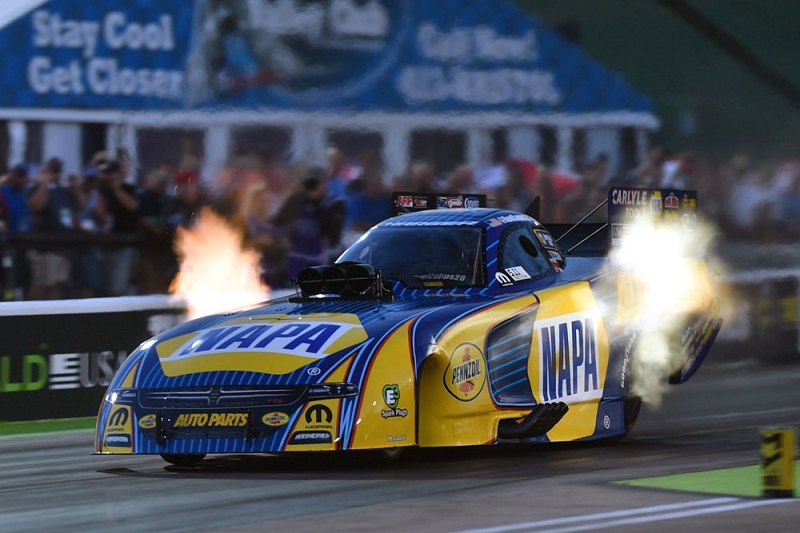 Capps has now run for the Funny Car trophy 112 times — second only to John Force in Funny Car career final-round appearances. 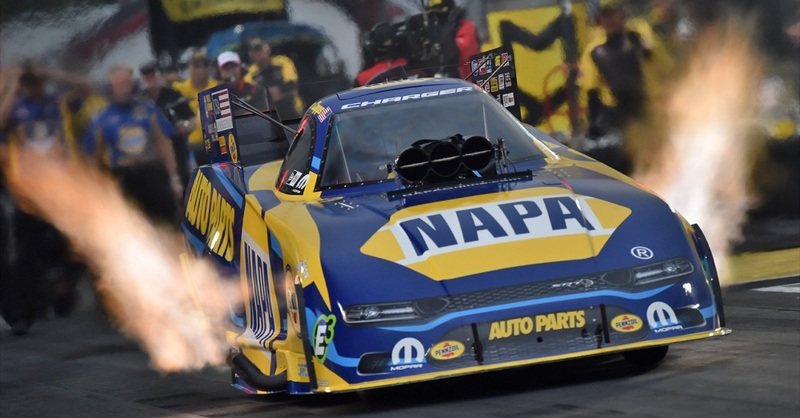 In the finals, Capps quickly made up a small starting line advantage by Tasca and added to his lead all the way down the stripe. 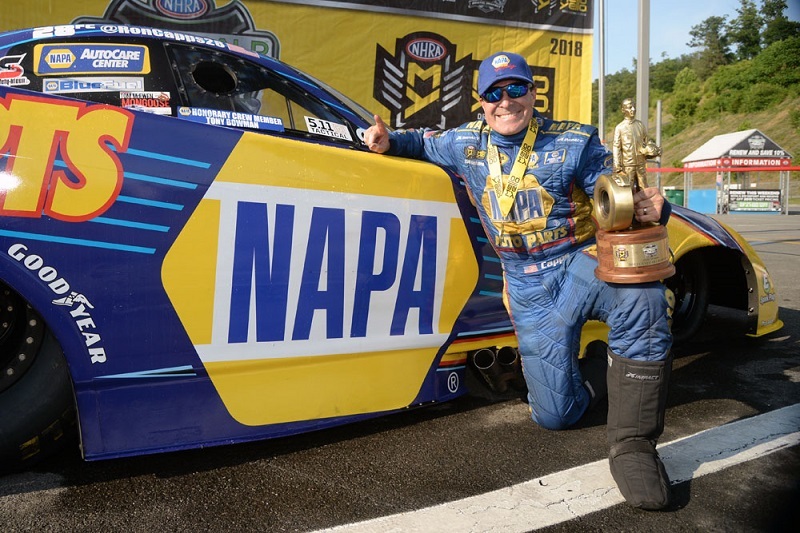 The victory earned Capps his 58th Funny Car win, 59th overall and a milestone 300th nitro event Wally for Don Schumacher Racing. 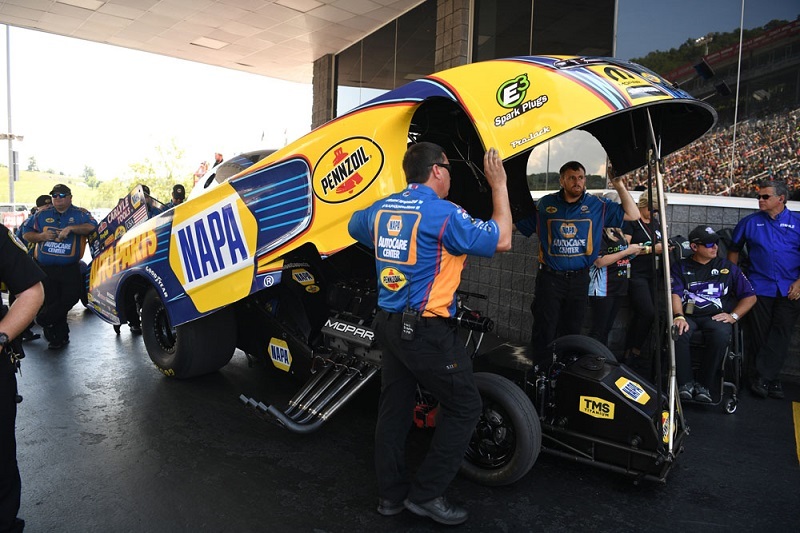 Many top-tier nitro teams have struggled with NHRA’s new track preparation procedures, and the NAPA team has been no exception, but Capps is confident that his crew chief, Rahn Tobler, has cracked the code on a hot weather tune-up, and Sunday’s win is an example of that. 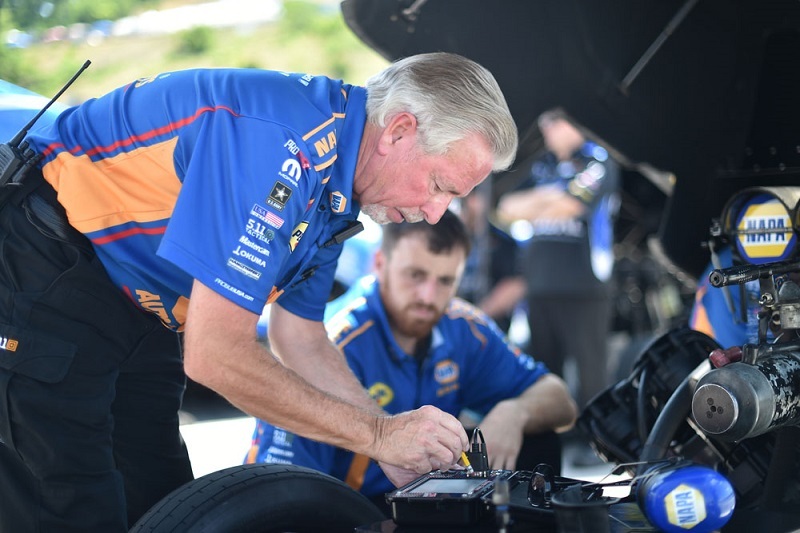 With the Thunder Valley Nationals victory, Capps was able to move from sixth to fifth in the NHRA Countdown to the Championship points standings and sits just one point behind the No. 4 ranked driver. 2018 NHRA Mello Yello Series Points Standing / Total: 5th / 693 pts.